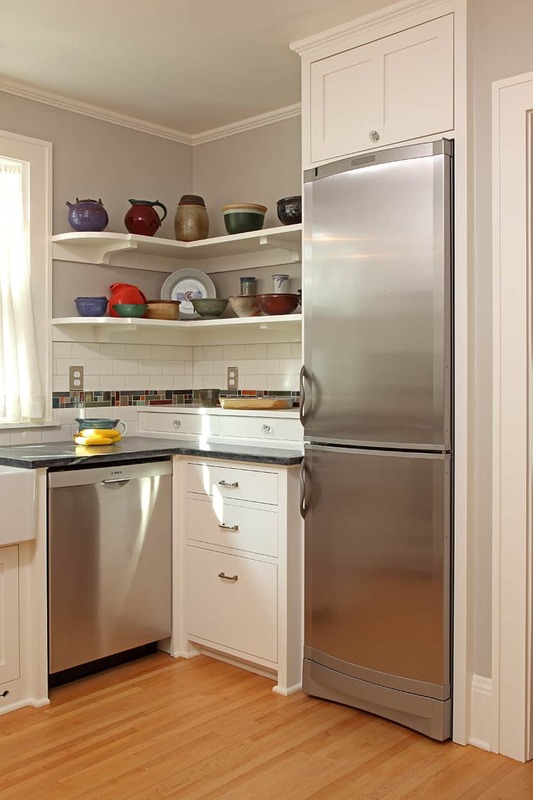 The original kitchen of this bungalow was typical of its era: very small, and traversed by traffic from three doorways. 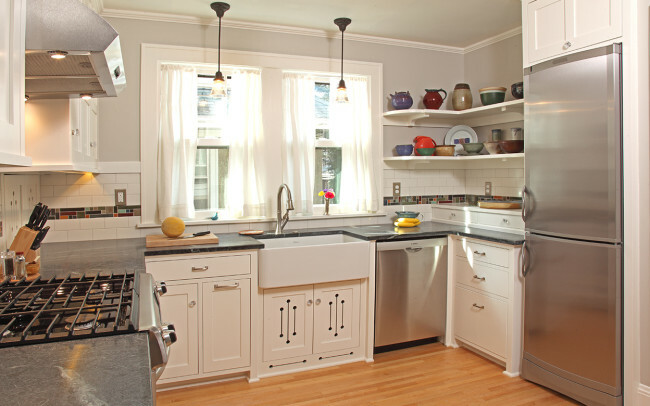 With only four feet of 30-inch high counter space this busy little kitchen was less than functional. 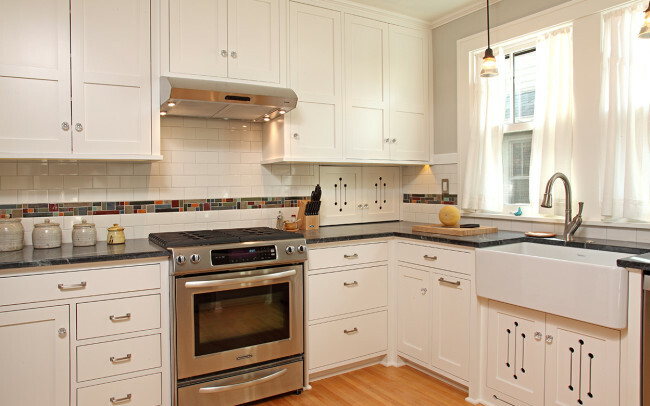 Our clients dreamed of a functional modern kitchen, yet wanted to stay within the original 100 square feet. 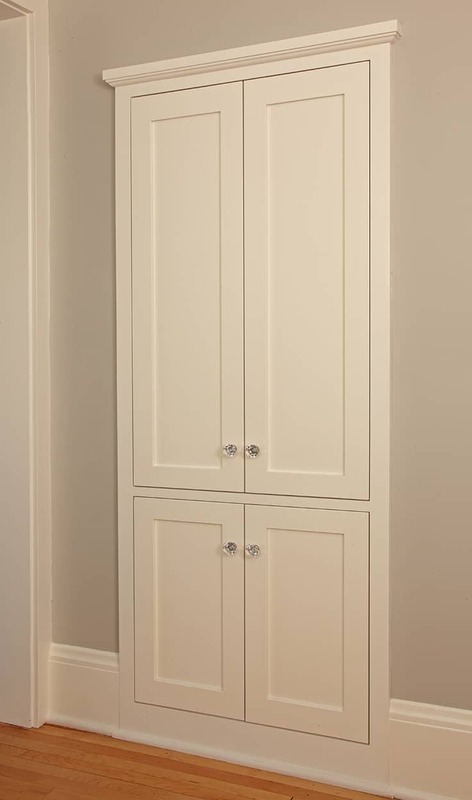 We utilized every inch of available space in order to maximize work areas and accommodate storage to create a project in line with their goals. After a trial-period where the door between kitchen and dining room went unused, our clients were sufficiently convinced that while they might losing a door, they were gaining precious kitchen counter. 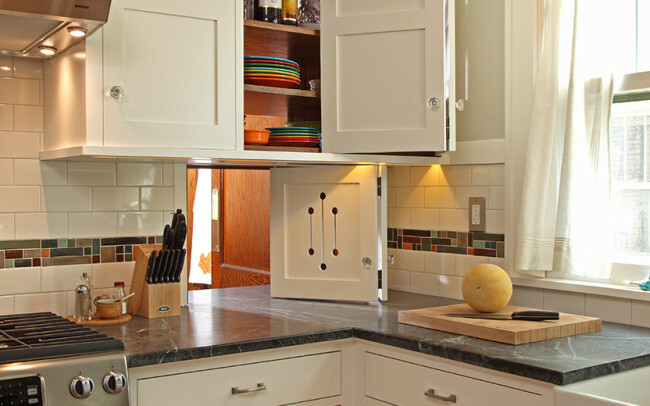 We converted the existing door to a countertop pass-through, which provides seamless transition from kitchen counter to dining table. 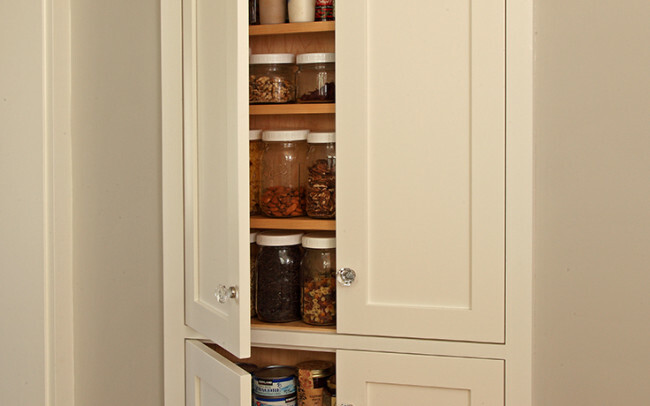 Storage for china and glassware also opens to both rooms. The opening through the adjacent hall maintains the easy connection to the dining room. 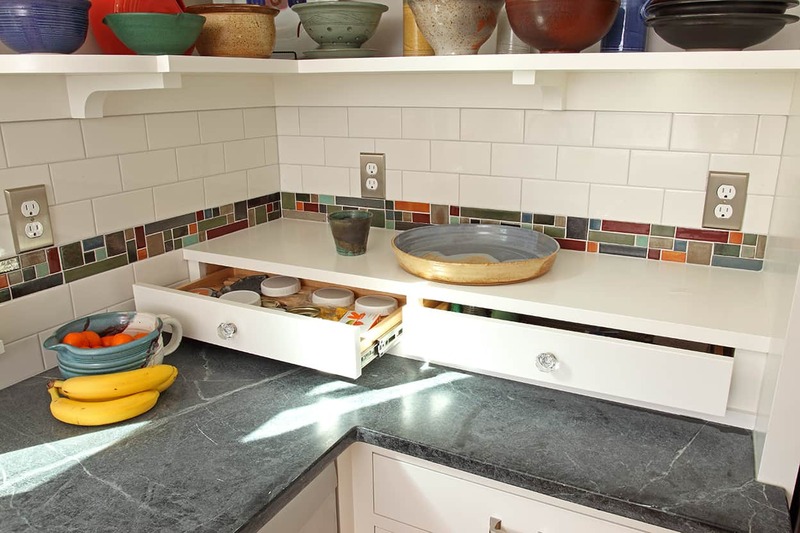 Coupling space-saving appliances and thoughtful storage solutions with a simple work lay-out affords the kitchen new functionality. 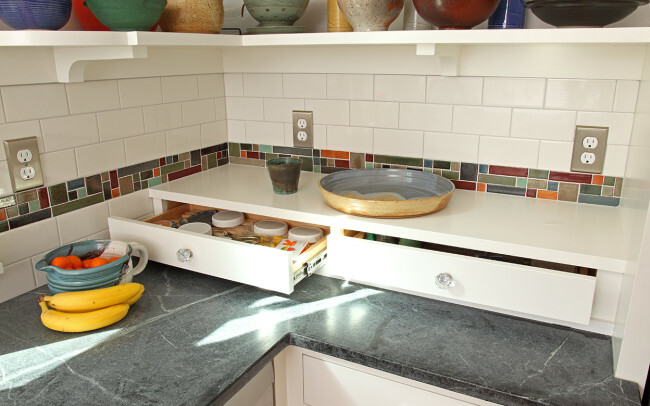 Counter level drawers below the open shelves hold spices and small articles. 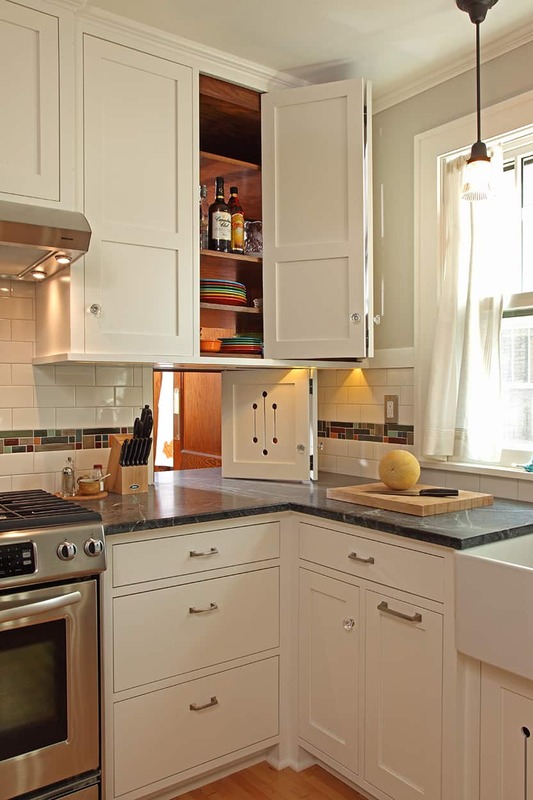 They provide a platform for small appliances while still allowing counter space by the refrigerator. 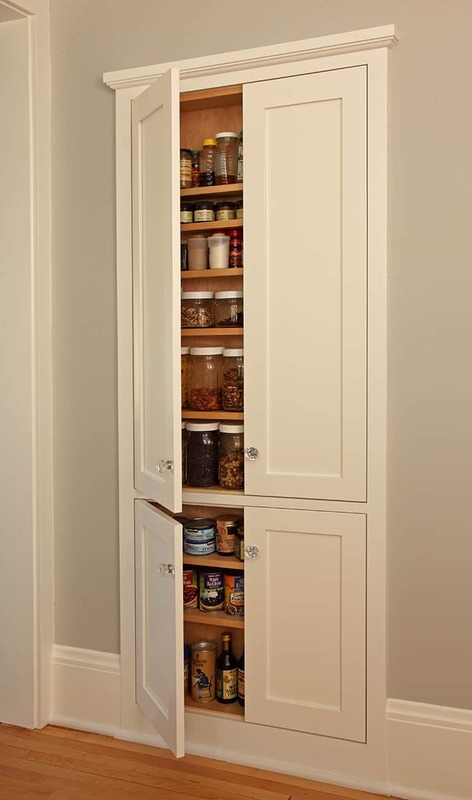 A pantry built within the existing wall framing packs away a surprising quantity of dry goods without intruding into the flow of traffic. 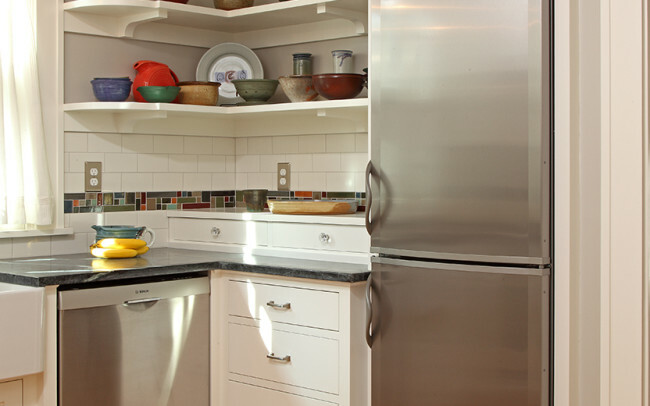 A radiator below the sink heats the room in a traditional way and maximizes cabinet storage space. 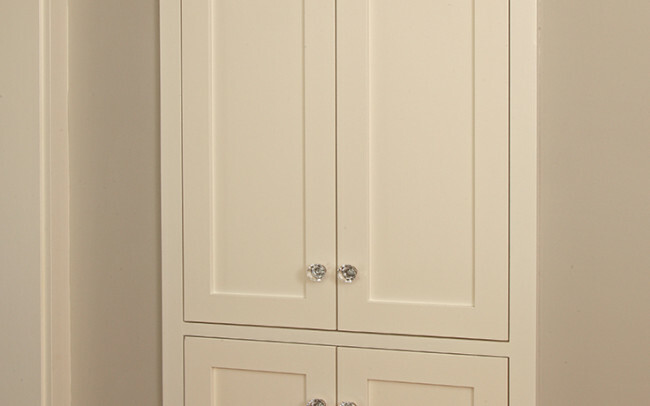 Cutouts in the doors and toe-kick provide for heat convection and celebrate period details. Historic millwork profiles selected from the front of house maintain the home’s Arts & Crafts heritage, and are juxtaposed with stainless steel appliances that add a present-day sensibility.